If you’re a go-getter, smooth talker, extremely passionate about social media and the digital sphere, have the ability to lead a team towards excellence, and most importantly, are ready to create a MindShift, we’re looking for you! To strategize and execute distinctive content solutions to achieve clients’ marketing and communication objectives, while strengthening their market distinctions. Develop and design innovative engagement via creative content, based upon insights and benchmarks. Promote continual creative improvement and actively contribute to a culture of innovation, excellence and accountability. Suggest and implement proactive ideas to clients and internal teams. Understand analytics reports to refine content strategy. Create content to drive audience interaction and manage responses. Lead, inspire and mentor a diverse, multi-cultural team of Content & Creative Writers to maintain consistent creative quality and develop market-effective, award-winning work. Work with the Creative Head & Operations head to constantly refine and improve the creative and servicing processes. Participate in new business development efforts. +2 years experience in content writing. Social media content writing preferred. The drive to work with an entrepreneurial setup & grow collectively with innovations, insights and lots of passion is a must. Manage projects on the Digital Front Website Centric, where you shall be leading the project, client servicing and close the project, per the requirements. Manage customer service (Response Management) on Social Media. Monitor comments, complaints, suggestions and feedback on all the social media channels and across the web using the provided Tools. Respond to comments with solutions within the specified Turn around Time. Co-ordinate with external agency and internal departments to ensure a response to guests who post/tweet complaints or provide feedback on Social Media. Manage Online Reputation Management (ORM) process. Maintain and circulate daily, weekly and monthly ORM reports to internal departments for their information and further action. Creation and analysis of monthly ORM report for Senior Management.Assist in new benchmarks within social care. Undergraduate student with 0 to 12 months experience working in a Digital Marketing Agency. Excellent written & oral communications skills. An affinity towards customer Service , Content Writing and Data Collection. Well versed with MS office, PowerPoint. Ability to understand Research and Tracking Tools. Leverage your content via design & creativity dependent visuals such as comic strips, memes, new age games, brand-lead posts, etc. 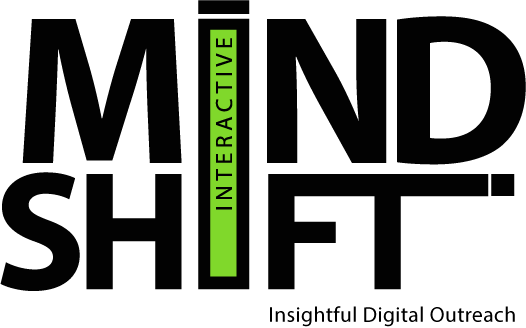 All rights reserved Mindshift Interactive.